In short, we are referring to our Mastery Level courses. Why are we updating the DotActiv Mastery Level Courses? 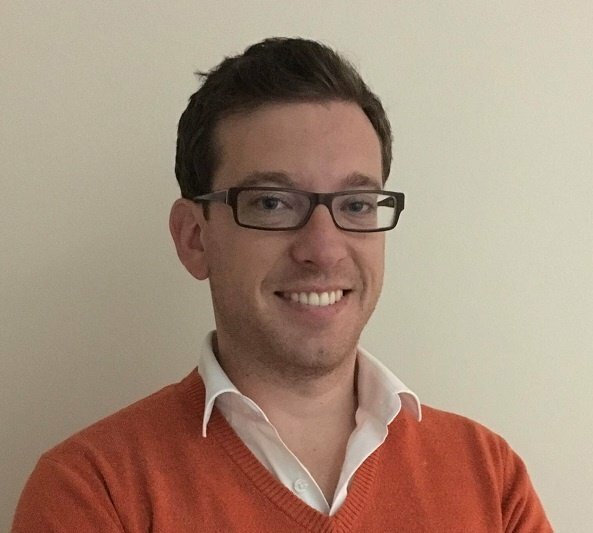 In the year since first launching the Mastery Level courses through DotActiv Academy, a lot has changed in our business as well as in the retail industry. Fortunately, DotActiv has a dedicated internal training department that researches new theoretical components in a bid to keep our category management courses as up to date and relevant as possible. As our business grows, we have come to realise many things. For example, more than 1500 retail professionals in over 60 countries use our planogram software. That number is ever-expanding, which tells us that we’ve built software that is reliable, functional and meets the category management needs of retailers and suppliers from across the world. However, that doesn’t mean we can rest on our laurels. And we don’t. There is always an aspect to tweak or a new suggestion that helps us improve the usability and functionality of the DotActiv software. As we continually update the software, so too must we expand the content of our courses. For the sake of context, our current Mastery Level courses found at DotActiv Academy already break down the intricacies of our software into bite-size chunks, thereby making it easy to understand and use. That said, in expanding the course material, it has admittedly made navigation both difficult and uncomfortable, which is one reason for the new update. We wanted to find a better way of presenting our category management training material to you. It’s also worth pointing out that one of our goals at DotActiv is to create software that helps you to provide in-store experiences that will ensure shoppers return. By improving the layout of the Mastery Level courses, we also want to provide you with the same level of experience that will have you coming back. While the first reason for the revamp was around better navigation, the second is around giving you more options. We’ll unpack the new structure of our Mastery Level courses in more detail in the next section if you want to jump to that. For now, we’ll point out that we’ve split the theoretical and software how-to videos modules within each course. The reason is that we’ve found some industry professionals only accessing the software how-to videos and not all the theoretical content. Instead of disregarding the data that shows a need for us to change the structure, we’ve now given you an option that suits your specific needs, which means you can complete each section separately. In the past, if you logged into DotActiv Academy to begin or continue one of the Mastery Level courses, you would have found everything housed together. For example, DotActiv Mastery Level 1 focuses on data. So, you’d find the theoretical content module, which answers the question of why data is important and what data you need to import into DotActiv software for it to function optimally. That content would be alongside the software module, which contains all the how-to videos to explain and show you how to best use the features. It was the same for each of the other five Mastery Levels which covers Clusters, Assortment Planning, Planogram Generation, Macro Space Planning or Floor Planning and Reporting. When you log into DotActiv Academy, you will now find that each Mastery Level has become a learning path. Each learning path contains three courses. You can find the learning paths by clicking on ‘Course Library’ in the left-hand bar. For example, DotActiv Mastery Level 1: Data is the learning path. Underneath are the courses. They are the Theory Course, Software Course, and a Practical Course. Again, it’s the same for the other five Mastery Level courses. What’s more, you can receive an individual certificate for each course instead of earning only one after completing everything. That means you don’t have to complete the Theory course if you already know the content; you can still receive a certificate for the Software course. 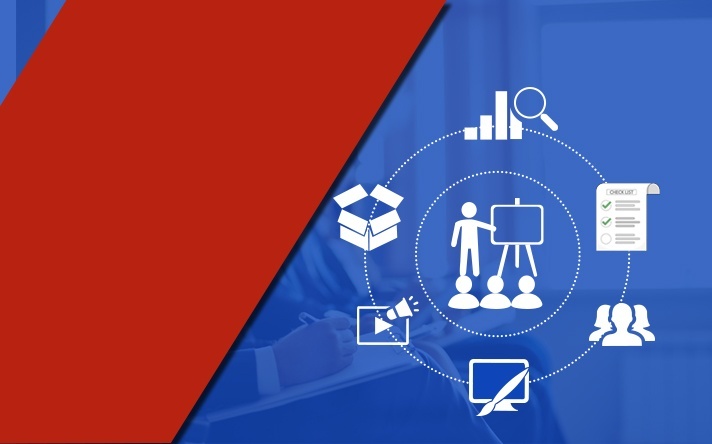 Of course, if you want to complete the Practical course, it is imperative that you complete the Software course as it provides context and explains how to best use DotActiv software. By completing all three courses within any designated learning path, you’ll receive an additional certificate. What are the benefits of this new structure? When it comes to explaining why you should care about the new Mastery Level course structure, it comes down to one benefit: the new structure allows you, the user, to get up and running with DotActiv software in a shorter time frame than was previously thought. That’s because, with all the research and resources that we’ve put into the DotActiv Academy over the last year, we are at that point where you don’t need to ask us for our assistance, such is the depth of knowledge found on the platform. Let’s say, for example, you visit DotActiv Academy. Upon logging in, you’ll find information on your dashboard that will help you to get the most of your time. You can decide to choose from the six learning paths listed. If you need assistance, you’ll have the option to choose what you need help with, be it the theoretical content, software functionality or practical grading. Lastly, you’ll have the option to watch the videos. 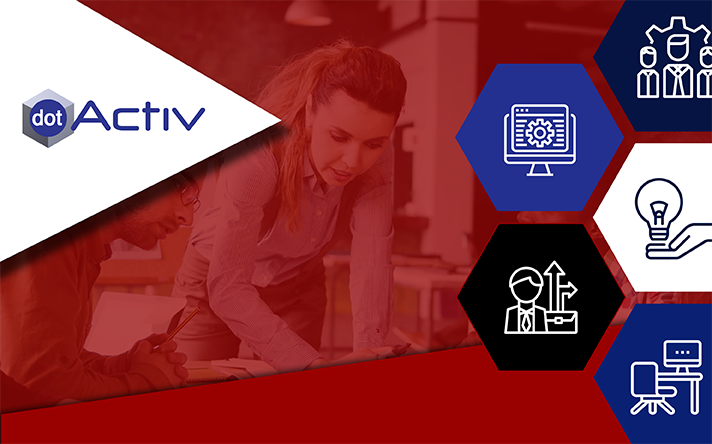 Once you’ve navigated your chosen learning path on DotActiv Academy and have completed each level, you’ll have everything you need to be fully confident when using our software in your retail environment. That said, it’s worth pointing out that the new structure doesn’t only benefit you. Yes, we provide you with better navigation and you can choose which module to complete. Yes, you’ll receive certificates based on your progress that you can use to show your knowledge to your current work or future employees. And yes, when you see a fellow colleague or a job seeker with a Mastery Level certificate, you’ll know they are proficient in all three areas of each learning path. However, the new structure also benefits DotActiv. While we have managed to convey our leanings and transfer our knowledge to you through the Mastery Levels, there is always a better way. The new structure allows us that opportunity. We can go into more depth in each course within each learning path, thereby offering you more value. And that’s not just for the immediate future. The new structure allows us to expand our content easily and without fuss going forward so that you will always have up to date and relevant content that can assist you to make the most of our software and improve your retail environment. 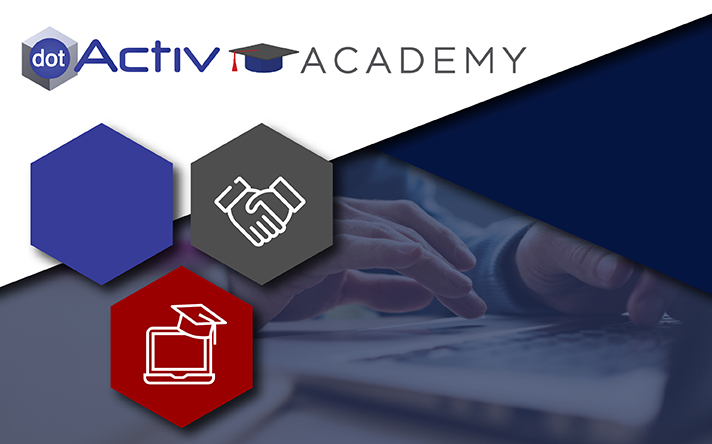 No matter if you choose DotActiv Lite, DotActiv Pro or DotActiv Enterprise, when you select one of our software packages, you also receive access to our Mastery Level courses through DotActiv Academy. Start your 14-day free trial of DotActiv Lite, Pro or Enterprise here or click below to book a free demo.